The evening showcases performances by students in the School of Music and the School of Theatre and Dance, and the work of the students in the School of Art and Design. This year, the event is a celebration of the arts in two locations! 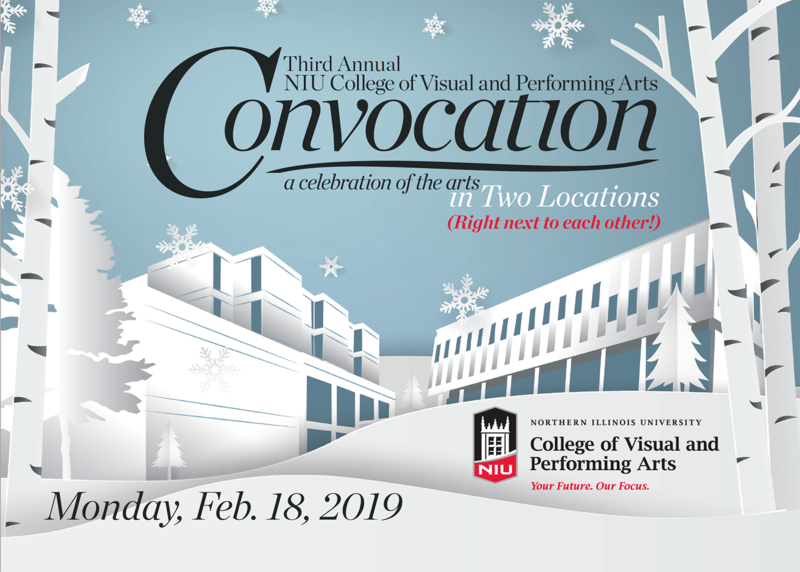 The night will begin at 5:30 p.m. with music, theater and dance performances held in Boutell Memorial Concert Hall in the NIU Music building. Then, attendees will be ushered next door to Jack Arends Hall, the visual arts building, for a showcase of art exhibitions, demonstrations, food and more!